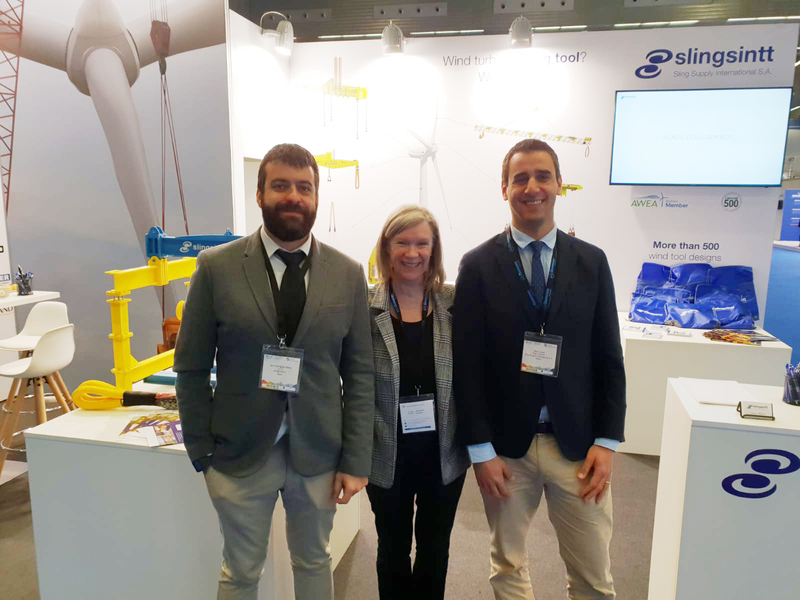 Slingsintt has been present at the Wind Europe Trade Fair in Bilbao from 2nd to 4th April. During these days we have received a lot of enquiries and visits in order to learn more about Slingsintt’s capabilities in all areas of lifting and transporting loads. This fair has been a great forum for meeting new partners to offer our services, to open new ways of strategic collaboration and to make ourselves known to new companies. Among the products we have presented, our solutions have created great interest for both large OEMs and installation companies. This interest confirms that we are working in the right direction and the efforts we have made over these years will pay off in a few months. We thank all visitors for the interest shown and we invite you to follow our news both through the website and our official Linkedin profile.